Could you imagine a more romantic story than the one of Romeo and Juliet? I can hardly do! So what could be more magical than getting married in the city of Shakespeare’s famous tragedy, Verona? However, the famous Juliet’s balcony of “Casa di Giulietta” is only one of numerous lovely places in Verona. Remains of the Roman era like the impressing amphitheater, buildings with amazing historic façades and wonderful squares such as the Piazza delle Erbe – only a few steps away from the Juliet’s House – give Verona a very unique and exceptional atmosphere. Verona is always worth a trip and thanks to its proximity to Lake Garda, Venice and the Valpolicella area it offers a perfect geographic location and beautiful surroundings, as well. 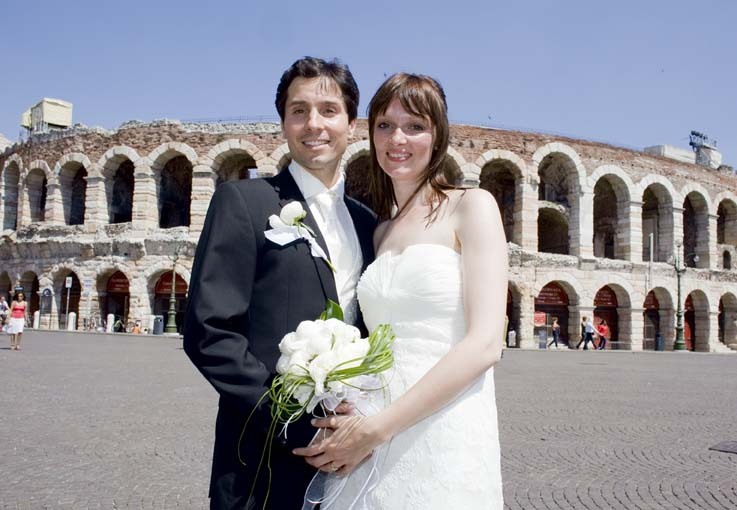 Also for weddings during the winter time, we can highly recommend you Verona as a romantic wedding location full of Italian charm! There are so many lovely places for getting married: for civil weddings, there is for example the wonderful antique hall of Palazzo della Ragione, the old town hall of Verona. But also for symbolic and protestant ceremonies the city offers the most charming venues that you could imagine, amongst others the famous Juliet’s House in the Via Cappello. For unforgettable catholic weddings we recommend the beautiful dome of Verona. Apart from those wedding venues, Verona offers also a vast number of wonderful locations for your wedding reception: whether lovely villas in and around Verona, romantic castles or beautiful Italian gardens – we are sure that a wedding in Verona will be as romantic as the town itself! Thanks to this matchless charm, lots of our couples choose Verona as their wedding location. 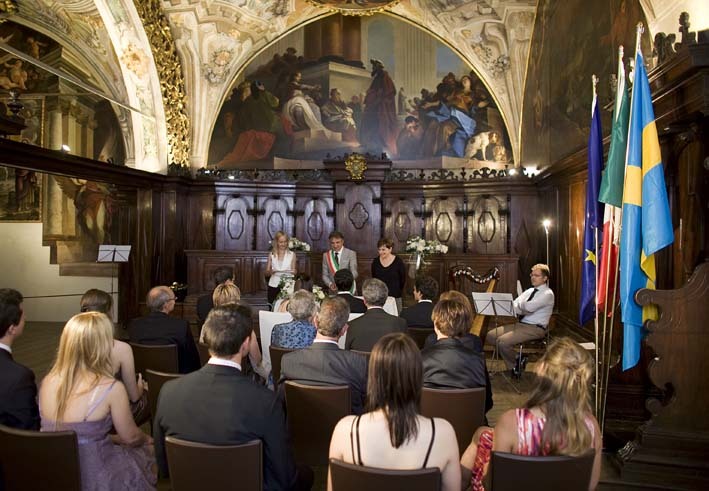 Elisabeth and Edward for example decided to get married in the wonderful Palazzo della Ragione. After their civil ceremony, they celebrated their wedding with their 20 guests in a beautiful hotel close to Verona.